Have you ever wondered if your new billboard or car wrap is actually helping you accomplish your business goals? If you answered yes, then you are not alone. Every time I sit down and consult with small or medium businesses, one of their biggest concerns is whether or not they are getting a return on their current advertising and marketing campaigns. Little do they know, but tracking the effectiveness of their offline advertising efforts is quite simple with call tracking. 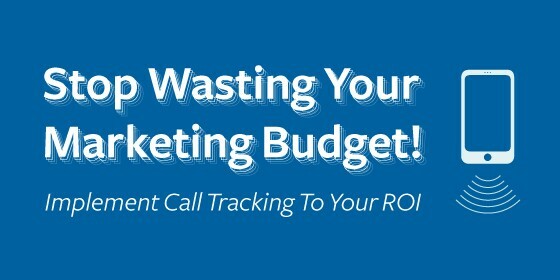 Phone call tracking has been around for a long time, however, with advancements in technology, it’s never been easier to set it up and be able to understand how effective each piece of marketing collateral is. 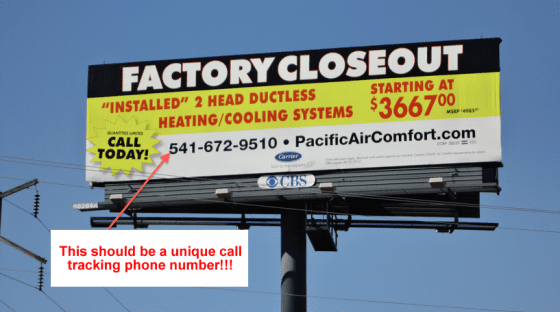 In one, easy to understand report, you can see how many phone calls each billboard, car wrap, car magnet, or vinyl banner has generated for your business and with a little elbow grease, you can track them through to sales and revenue. Let’s discuss how. In order to start tracking phone calls, you need to set up an account with one of the many call tracking providers. I like to use Century Interactive since they are the most affordable for businesses on a budget. To get your account setup, you will need to call their toll free number and one of their customer service reps will walk you through everything and help you get as many unique phone numbers as you need. Each phone number will cost you $2 per month and then you are charged by the minute. Their rates fluctuate based on call volume. You can contact Century Interactive by clicking here. You can also have each call auto recorded incase you want to do some quality control on your office receptionist. Lastly, if you are doing any online marketing such as SEO or PPC, you can track the effectiveness of those campaigns as well. If this is something that interests you, you should get with your account rep to find out how to set it up. 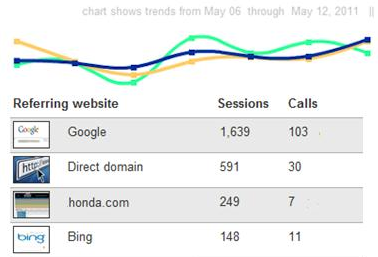 As you can see, phone call tracking is a powerful tool to help you understand which of your advertising and marketing dollars are producing results. If you have any questions about call tracking, please leave them in the comments section below.